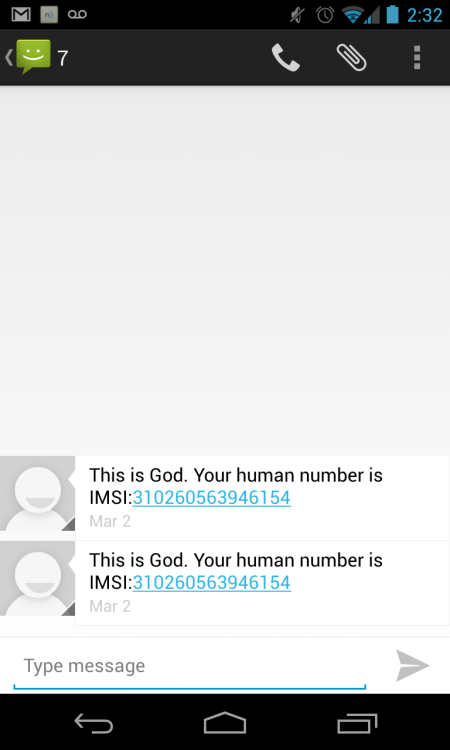 The Messenger of God was an experiment in GSM and GSM traffic interception. The purpose of this installation was to demonstrate how we should not have unfettered faith in our mobile devices and how anyone can intercept or disrupt the public GSM cell phone network. The piece consisted of an openBTS installation on an Ubuntu linux machine, a software define radio (an Ettus Research USRP B100), and some node.js. 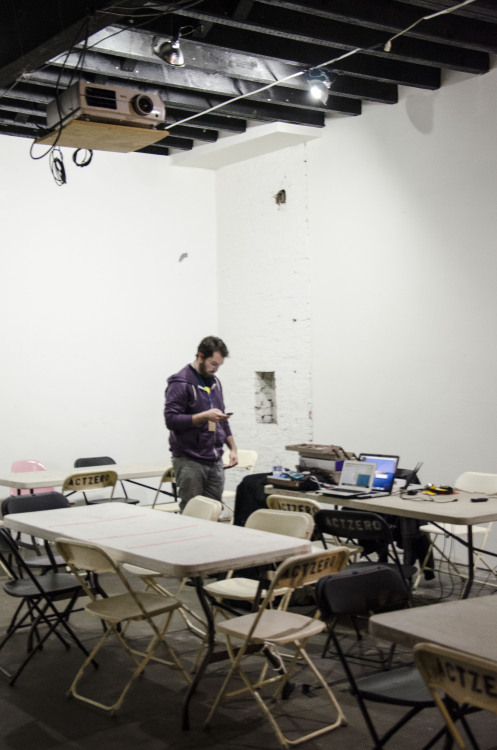 With this hardware/software combination we basically had our own reconfigurable GSM cell phone tower inside the gallery. We configured our network to represent itself as the commercial GSM service provider : < redacted >. We created a web interface to openBTS allowing the audience to broadcast sms messages to every device registered to the network. Over the course of the night we were able to automatically register 45+ devices on our GSM network and transmits countless messages.